Many baby boomers find themselves giving up cannabis at some point in their life, regardless of how much they enjoyed it in their youth. In this post, we explore some basic tips for baby boomers or older generations looking to get back into cannabis. Many baby boomers find themselves giving up cannabis at some point in their life, regardless of how much they enjoyed it in their youth. Today, as attitudes towards marijuana change and we even learn more about its possible role as a legitimate medicine, many boomers may be considering giving weed another try. In this post, we explore some basic tips for baby boomers or older generations looking to get back into cannabis. For more articles like this, make sure to regularly check out our blog. To order quality cannabis seeds at the best prices, start browsing Zamnesia today. The cannabis available today through retail stores or medical dispensaries is not like the stuff from the 60s. In 2015, Charas Scientific, a Colorado-based laboratory licensed to do cannabis potency testing, analyzed the changing strength of marijuana over the last 3 decades. It found that cannabis in the 70s contained roughly 10% THC. Today, those numbers have almost tripled. "We've seen potency values close to 30% THC, which is huge”, said Andy LaFrate, Ph.D., founder of Charas Scientific. 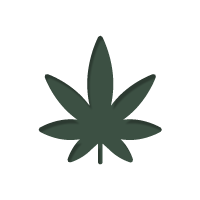 The cannabis plant contains over 80 active compounds, also referred to as cannabinoids. THC, also known as Δ9-tetrahydrocannabinol, is the main psychoactive component in the plant. The effects of THC on the body are the basis of many new studies on cannabis. It has been suggested to help with pain relief, nausea and vomiting, and other medical conditions (which we’ll explore in more detail below). However, consuming too much THC can also have undesirable effects, especially when a user isn’t already accustomed to it’s effects. Hence, older people looking to try cannabis may be overwhelmed by the strength of what’s available today, especially if they haven’t consumed it for a long time or are expecting a similar experience to what they remember from the 60s and 70s. “Boomers aren’t so keen on cannabis stinking up the house nowadays, plus they think the smoke makes your eyes red and your mouth dry”, writes Lee. Cannabis can be hard to consume. The smell is instantly recognizable and there is a strong stigma surrounding both marijuana and its users. As we get older, we also take on more responsibility and may not have the time or desire to consume on a regular basis. “Boomers often equate cannabis to something you try when you’re young, but as soon as you’re older and saddled with responsibilities, it feels like something you have to grow out of”, writes Lee. While every individual has their own reasons for ditching cannabis, these are some of the most common reasons among baby boomers according to Lee. It’s important to note that, while we chose to reference his piece, it shouldn’t be regarded as a conclusive source on why people choose to quit using cannabis. Now that we’ve explored some of the reasons why baby boomers stop using cannabis, let’s look at some reasons why they may be interested in giving it another try. It’s important to note that the purpose of this article isn’t to convince anyone to buy a bong and start ripping cones on a daily basis. These are simply some popular reasons why people may be looking to start using cannabis again. This is undoubtedly one of the biggest reasons behind recreational cannabis use. Just like some people like the effects of alcohol, caffeine, or cigarettes, others like the effects cannabis. Some people love it because it helps them enjoy music/art more fully, others enjoy breaking into uncontrollable fits of laughter, while some like it because it heightens the pleasure of eating. Whatever the reason, some people like getting high. Period. Cannabis’ medical benefits make it a legitimate treatment option for people suffering from a variety of conditions. The first cannabinoid receptor in the human body, CB1, was discovered in 1988. The second, CB2, was discovered in 1993. The discovery of these receptors essentially lead to the discovery of the endocannabinoid system, a group of receptors located in the brain and throughout the central and peripheral nervous systems of humans and other mammals. The endocannabinoid system is involved in the management of pain, appetite, mood, and memory, as well as the psychoactive effects of cannabis. The discovery of this system eventually lead to further studies on what exact role cannabis plays in the management of these conditions. Today, studies shows that cannabis can have numerous medical benefits. It has been shown to help relieve pain and improve sleep, help in the treatment of glaucoma, possibly relieve symptoms of post-traumatic stress disorder, help manage appetite, and more. Unfortunately we can’t explore the full medical benefits of cannabis in this article. For a great introductory article on the medical benefits of cannabis, click here. If you’re interested in using cannabis to replace or supplement a medical treatment, make sure to consult your doctor. While baby boomers may have given up pot, many still consume other more socially acceptable drugs like alcohol. The regular/excessive consumption of such drugs can have serious health effects. Switching some drugs like alcohol for cannabis may help you manage those health risks, especially if you use cannabis through a vaporizer or vape pen (which we’ll explore in more detail below). A 2015 study found that marijuana has the lowest risk of mortality and is safer than alcohol or tobacco, as well as many other illicit drugs. Again, we’re not suggesting you swap out the occasional beer for a joint. But, if you’re looking for a safer way to enjoy a buzz every now and then, cannabis may be a much better option than some of the other drugs out there. Whether you identify with the above reasons or not, if it’s been a while since you’ve used cannabis and you’re ready to give it another try, follow the below tips. Vape pens are perfect for anyone who is looking for a fast and discreet way to enjoy cannabis. Similar to an e-cigarette, these pens can either be loaded with cannabis flowers or small cartridges containing cannabis extract. Unlike more traditional ways of consuming cannabis, such as through a bong, pipe, or joint, vape pens do not combust the cannabis or concentrate. Instead, they use convective heating to heat the air around the cannabis/extract. Most of the components in cannabis vaporize between 126°C and 185°C. A vape pen allows you to heat your cannabis to exactly those temperatures, allowing you to avoid combusting your weed and in turn avoid inhaling harmful smoke. Because vape pens do not produce smoke, you’ll also be able to enjoy cannabis without alerting the whole neighbourhood. Thanks to the legalization movement, cannabis users now have access to more strains than ever before. If you’re looking to start using cannabis again, make sure you research the different strains out there to find something that’s suited to you. The online database of cannabis information is slowly growing, meaning you can easily use the internet to get information about different strains, their effects, chemical makeup, etc. If you remember a particular strain from when you were younger, try searching for it online. Many classic strains, such as Acapulco Gold, Haze, and other are still treasured by cannabis users today. Once you’ve settled on a strain and are ready to it a try, make sure to do so in the right environment to ensure your experience is as pleasant as possible. Avoid any crowded situations like concerts or parties. In her article on Pot Guide, Abby Hutmacher suggests keeping it simple instead: “I suggest gathering some tasty food, cool (non-alcoholic) beverages, close friends and perhaps a movie or two. This way, if anything does go wrong, you will be better equipped to deal with it”, she writes. The effects of cannabis can be altered and become more intense when mixed with other drugs. Hence, avoid taking it together with alcohol or cigarettes, as well as any medication you may be taking. For expert information on how cannabis may interact with your meds, make sure to contact your doctor and pharmacist. Lastly, if you have any concerns about using cannabis, make sure you consult your doctor. They’ll be familiar with your condition and may have some extra tips for helping you make your first cannabis experience as enjoyable as possible. For more articles like this, make sure to regularly check out our blog. To order quality cannabis seeds at the best prices, check out Zamnesia today.